rooster 8 x 8 in. 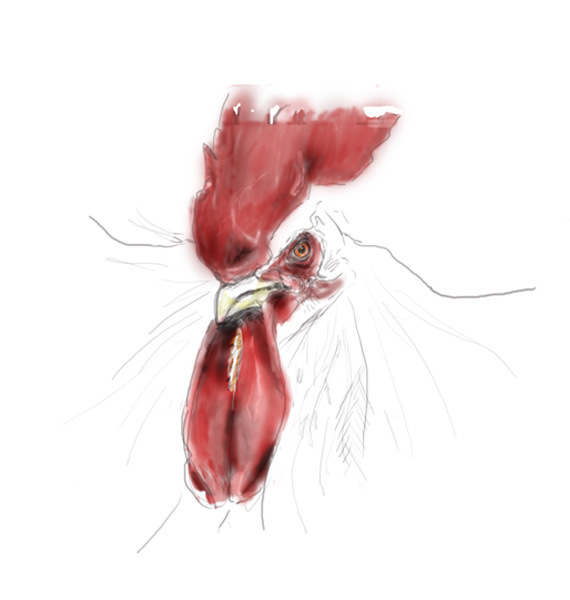 Roosters are great subjects, unashamedly proud, they know they look sharp. I originally started with a sketch and colored in the comb, when I showed it to my friends, they said, "Stop!" I started to experiement with this style, people seem to like the "in process" look.